I love my life. I live in gratitude and awe for everyone, everything, and every experience in my life. For most of my adult life, I have been and continue to be deeply passionate about my physical health, being a life-long learner, and going on adventures. For the past decade, I have immersed myself in nutrition and yoga, spiritual understanding, and traveling. Adventuring to various special places on this earth, meditating to the inner realms of existance, and shamanic journeying to the spirit worlds. I love to raise my vibration to expand my awareness of consciousness in all of her forms. Like all of us, I've had challenges in my life and lessons to learn from. I live in gratitude for those lessons and for the souls who helped me to evolve, change, and awaken in this amazing time. I have such deep gratitude for consciousness awareness, and to my teachers. I had a challenging childhood with a severely alcoholic father. I have spent most of my life with constant anxiety in my solar plexis and suppressing my feelings. After spending over 20 years as a mechanical engineer and a high school math teacher, in 2008 I quit my job to move to Cape Cod to teach Svaroopa® yoga. I have been avidly practicing Svaroopa®: yoga and meditating since 2002. I have also been studying and implementing various nutritional protocols and strategies into my life since 1984. Mostly studying and living various vegetarian lifestyles such as macrobiotics, veganism, and raw-living food diet. I have solo-backpacked Europe and Ireland for many weeks at a time. I have been working on my self - clearing old physical-emotional-mental patterns subconsciously since 2002 when I concurrently started practicing Svaroopa® yoga, meditating, and eating a predominantly raw-living food diet. My Kundalini also awakened at this time. The anxiety that I had my entire life disappeared. In 2007 I had a major spiritual awakening during a week-long meditation retreat. I have been on the spiritual fast-track ever since! I had been studying and immersing myself in yoga - practicing poses daily, going to weekend and weeklong retreats with the founder of Svaroopa yoga - Swami Nirmalananda, studying yoga texts, meditating, chanting, and practicing japa. Yoga was the open gate to my spiritual world. 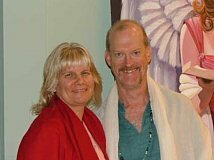 When I moved to Cape Cod in 2008, within months a spiritual community opened up for me and I learned so much about different aspects of spirituality. I had recently had profound Kundalini experiences while meditating on my own, so I instantly accepted and had a knowing of truth when people I met talked of seeing angels, being with fairies, and meditating with ascended masters, for example. I now play with the angelic realms and the ascended masters. I open my Akashic records for my own connection with my spirit guides. I closely work with the goddess energies in energy work, meditation, and channeling. Without knowing what it was called, I have been immersing myself in practices to raise my vibration for years. I have learned and implemented so many practices that I decided it was time to share what I know. Although I feel that your own life experience and your inner self and heart is your best teacher, you might be interested in my degrees and certifications: AS Mechanical Engineering, BS Mathematics Education, MALS Humanities, 500 hour certified Svaroopa® yoga teacher, Embodyment® therapist, 3rd degree Reiki practitioner, and I am presently in the midst of a 3 year Program in Advanced Initiations in Shamanism and Shamanic Healing. The most fun and the best parts of my life have been when I am on an inside or outside journey living in high vibration. Backpacking throughout Europe, traveling to India, hiking the red rock vortexes in Sedona, meditating with goddesses, and being with my Twin Flame - John. I have done a lot of work on myself consciously in the past couple of years as my stuff comes up to be released. I love to share my continuing adventures of raising my vibration, expanding my awareness, opening my heart, and expressing my feelings. Much love, namaste, and many blessings to you! About how Twin Flames Dawn and John met - a story of magic and synchronicities! How we know we are Twin Flames is coming soon on another page!